Precision universal-type V-Block. Used for layout work in the toolroom and has the capability of holding square or round workpieces with greater accuracy. V-Blocks made of chrome steel and hardened to Rockwell 60C and ground. All sides are ground square and parallel to each other. Accurate enough to be used in layouts and surface plate work. 90 degree V's are ground central, parallel and square with ends within .0002". Precision ground and matched in pairs. Sturdy enough for machining operations. 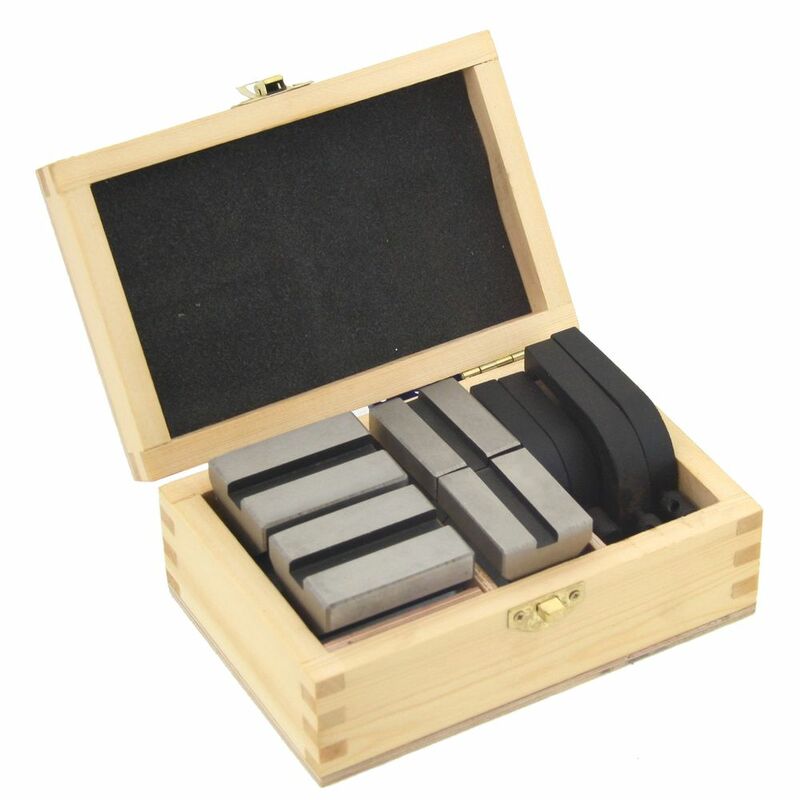 2-3/8" PREMIUM SUPER PRECISION GRINDING TOOLMAKER VISE PRECISION GROUND ANGLE BLOCK SET 1-30 Degree 6" VER DIGITAL DRO QUILL READOUT SCALE fits BRIDGEPORT 2" PREMIUM TOOLMAKER GRINDING GROUND STEEL VISE 0.0002"